“Beauty Is Truth, Truth Beauty.” Nothing can define beauty as neatly and as aesthetically as the representative poet of the Romantic Age – Keats has been able to do in his “Ode on a Grecian Urn.” But every truth needs to be validated and therein comes the significance of history. History helps us delve deep into the past and bring out from there the relics of truth. Since we have been talking a lot about beauty these days, I got curious and thought to trace out the history of beauty. Here is what I got to know and if you want to know what I know, read on! The parameters of beauty have been subjected to a constant flux and thus, have undergone radical changes over the passage of time. What has remained constant is perhaps the love for beauty that men have fostered in their hearts and that women have strived to attain. The age of enlightenment that is was, the light of beauty spread as fast as did the light of knowledge. Elaborate head-dresses and jeweled turbans were the order of the day. Blonde pleated hair was considered beautiful among these 15th century upper class women and it is said that women even tried dying their hair by using onions, saffron or even sitting hatless in sun! Following the renaissance was the time of woman power- the reign of Queen Elizabeth. Naturally whitish paler skin, reddish blush on the cheeks and red hair was considered fashionable. It is said that the queen used to color her lips, eyebrow and even her veins! 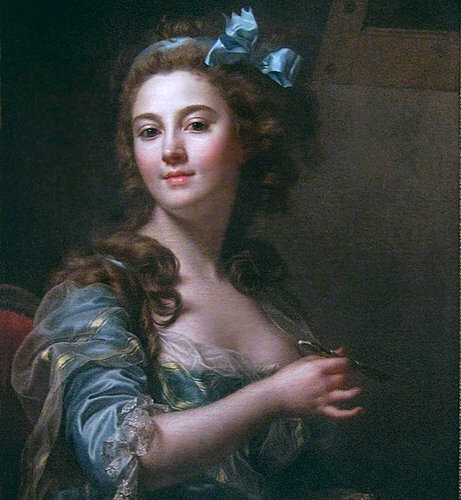 Vanilla complexion was advocated as a scale of beauty and it is said that white chalk powder was mixed with vinegar and egg as a perfect makeup mixture. A facial patch to conceal blemishes and cerise powder cherry red was used as a blush. Around the 18th century, the standards of beauty underwent a change and sophistication consisted in the extravagance and adornments with curly locks, bows and garlands. The Victorian age was austere and favored natural beauty as the yardstick of innocence and purity. A no-makeup look was all that women wanted to achieve. Excessive use of makeup was reserved for women “with loose morals.” Sleek looking oiled hair, curled or wavy was considered beautiful. Women’s body was covered from head to toe. Varied and tumultuous, 20th century has seen great upheaval in the field of beauty from the “Roaring twenties” to the Kate Moss look of 1990s. This century has seen everything from voluptuous curves to skinny bodies, shiny bobs to matted long hair. The 20th century has been a multifaceted age that has seen emergence of style of variety of makeup. Hence, it is difficult to summarize its trends in a word or so. Be it Clara Bow or Elizabeth Taylor or Princess Diana, this century has seen an explosion in beauty. Be it the advent of “flat chest-ed” feminism as a form of revolt against patriarchy or the extremely feminine long-haired look as a celebration of beauty, 19th century has seen it all and each one is beautiful in its own way. Does is really need a definition or an elaboration? Then, let me say, beauty is all about experimenting and experimenting is beautiful. We were born in the 20th century and we live in the 21st century. Ours is a generation that has seen the millennium change. Then, how can we restrict ourselves to just one definition of beauty? Beauty has been created and recreated down the ages. It is not always about the manifestation of beauty that is beautiful, often they are the personalities and the sentiments make the whole concept of beauty all the more alluring! This article has a Western bias to beauty and its standards. Moreover, the content shouldn’t be treated as ultimate. As you all know, history is vast and it is not possible to do justice to it in the true sense, given time and space constraints. Image Sources: 1, 2, 3, 4, 5, 6, 7. Renji….thanx dear…!!! although im not sure bt as far as i can understand its something like highlighting the veins with a bluish color with the help of alabaster pencils…! but coloring veins??? baap re. thankooooooo Bee!! hw have u been? ? ? ? ? ? loved reading this article dear……amazingly written…..though ws bit short…hehehe,,,i wanted it to never end…. haha..thanx Khush 🙂 i so wish i could write dat looooooooooooooooooooong! beautifully written and so interesting!!! this was a lovely article. so well written Somreeta. I loved the disclaimer in the end too.